One "silver" dental amalgam filling contains 100 times more mercury than one compact fluorescent lightbulb. 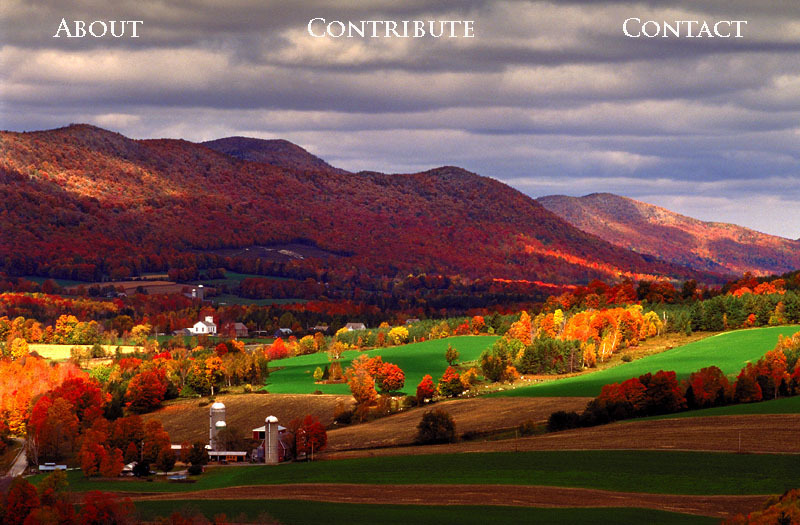 Bringing environmental justice and corporate accountability to Vermont communities since 1999. J.P. Carrara & Sons, Inc. expanded an aggregate quarry in Clarendon next to a mobile home park with a contaminated aquifer. Omya, a privately-owned Swiss multi-national corporation, grinds the world's purest, whitest marble all over the world into something finer than dust using large quantities of water, chemicals and fossil fuels to make an industrial mineral filler. Omya announced in September 2004 that it was dropping its plan to open a new mine in the clear-cut area of the mountain shown in this photograph. Chloramine is increasedly being used in higher concentrations as a disinfectant in municipal water supplies. Could it affect your health? Is Your Drinking Water Safe? Who Owns Vermont's Water? Can Bobcat habitat in Shelburne be protected from a housing development? Act 250 is Vermont's unique Land Use Planning Law. Does it work?